Facebook has gone all-in on photos lately in its bid to become the photo-sharing destination on the web. Firstly it splurged $1 billion on Instagram, then it revamped its apps to bring larger photos and now it's launched its own Camera app specifically for photos. The Camera app seems, at this point, to be a cross-pollination of Facebook's existing offering and Hipster favourite Instagram. Although the company says it did not use any of Instagram's technology to build that app. Like Instagram, it features a range of filers - 15 in fact - for giving your snaps that retro feel. It also offers users the ability to rotate and crop photos before posting them to your Facebook feed. Camera, which will initially be available just for iPhone, also supports multiple photo uploads, which means you can tick the snaps within your camera roll and upload them as a batch. They can then comment on the set. The app itself features a feed of photos from those "you care about most" offloading all of the clutter of status updates, Spotify plays and location check-ins. A post on the Facebook news blog says: "When you launch the app, you'll see a feed of just great photos from the people you care about. 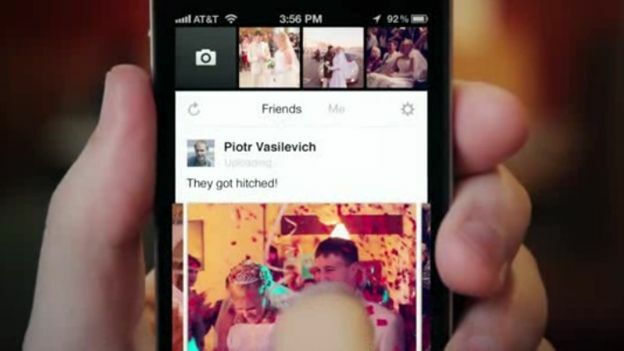 You can swipe to see more of any album or tap to enlarge an individual photo."